For Raleigh Code Camp this year I thought I’d stay in the realm of IoT, but also bring together some latest and greatest sweetness. 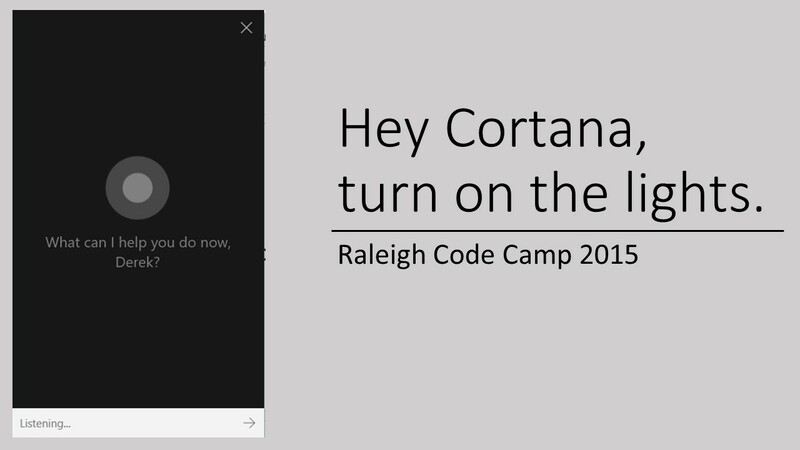 So my talk is titled “Hey Cortana, turn on the lights” and is a fun walkthrough of using Cortana, Universal Windows apps on Windows 10, the Azure Service Bus, and the Hue API to control your lighting with your voice. Here are all the reference articles I used in preparing the talk, and the slides, code, and video will be posted after the event. http://talkitbr.com/2015/07/13/integrando-a-cortana-em-seu-aplicativo-windows-10/ – this one is in Portuguese, but still shows how to structure the Voice Command Definition file. https://github.com/Microsoft/Windows-universal-samples/tree/master/Samples/CortanaVoiceCommand/cs/AdventureWorks/Common – this is a sample project provided by Microsoft. It seemed slightly out of date, but was a good reference. http://www.developers.meethue.com/ – the Phillips Hue developer site. To get access to the full API docs you’ll need to register, but they have a getting started page here as well. 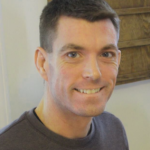 https://github.com/Q42/Q42.HueApi– a .NET wrapper for the Hue API. I didn’t use this directly, but modeled my own wrapper after it, and found it helpful for some of the JSON handling.